A wonderful Christmas Market for the whole family. Set amongst the enchanting garden of the Rudolf Steiner Kindergarten in Wallace Street, all are invited to come and enjoy the festivities. 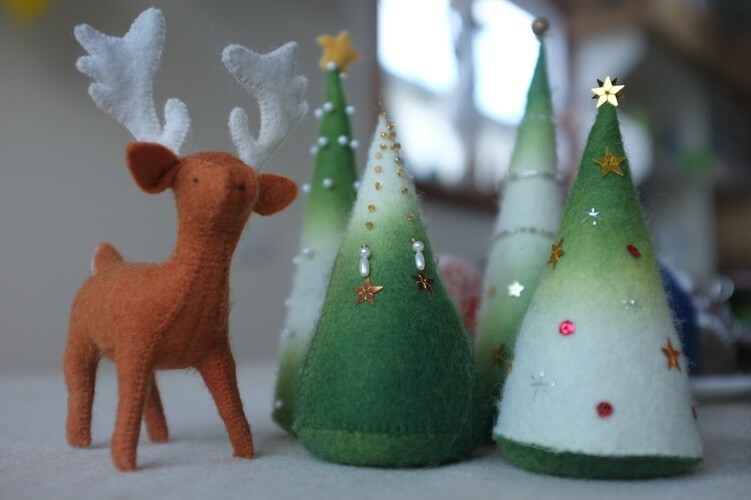 A delightful world of handcrafted toys and dolls await - fairies, gnomes, animals and mystical creatures - exquisitely hand sewn or felted, all which make treasured Christmas gifts at affordable prices. Visitors can join in and make their own crafts, including candle dipping and other workshops. 10:30am and 12pm is time for a very special story/craft/treat experience for children ($5 per child). Enjoy healthy, wholesome food at the cafe, and live Christmas music performances. A Giving Tree will benefit the Motueka Night Shelter - donations of non-perishable food items can be brought along for this.